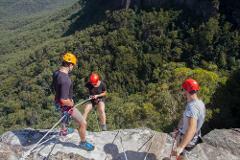 1/2 Day abseiling Adventure in the Blue Mountains with Australia's leading adventure company. 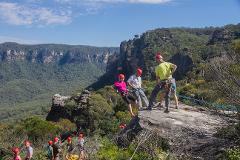 A full day abseiling Adventure in the Blue Mountains with Australia's leading adventure company. Multi-pitch abseiling is the ultimate way to put your abseiling skills to the test! Join us for a spectacular experience with a slightly different perspective on some of the best views available in the Blue Mountains.